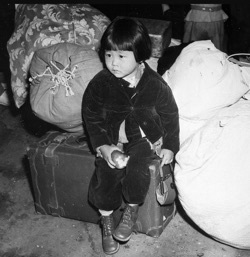 Lange was originally opposed to the idea but accepted the task because she thought “a true record of the evacuation would be valuable in the future.” But after reviewing her photographs and their portrayal of the Japanese American experience, the military became concerned how the images of the internment program would be received by the public. So government leaders seized the photos for the duration of World War II and deposited them in the National Archives, making them unavailable for viewing. Not until 2006 were the censored pictures finally released. This week is the 75th anniversary of Roosevelt’s February 1942 decision to sign an executive order creating restricted areas and sending over 120,000 people to internment camps. Lange’s photographs and other documents from the period provide a powerful tool for training students to think historically and to connect past events with contemporary issues. 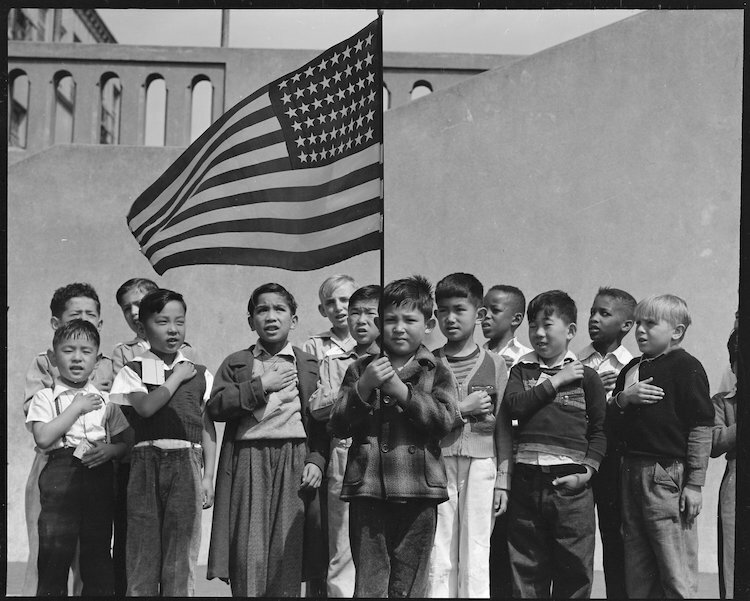 Ansel Adams and other photographers also documented the internment process. Many of the photos taken by Lange and Adams are now available online as well as articles and resources that can be used to create engaging and powerful learning activities.